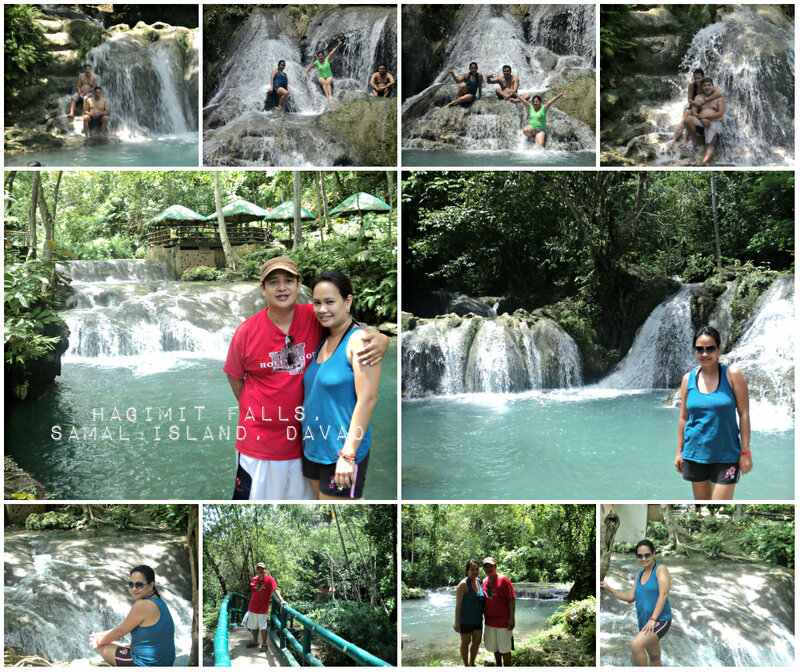 Hagimit Falls, Samal Island | To Be, To Be. Tutubi. After the visit to the Monfort Bat Colony, our next stop was Hagimit Falls. We were enchanted by the place! Hagimit was named after the abundant Hagimit trees growing in the place which provided the perfect shade. It was a long walk down, but the promise of the beautiful falls make the walk easier! (Entrance fee was P50 paid at the gate, and P150 for the table rental, paid to the caretaker). And we fell in love with the place! The water was not too cold, and was just deep enough for a proper swim. We even went up to the falls and had the falling water massage our backs! We could have spent the whole morning just sitting there! We didn't even notice that it was noon and time to leave! There is really a divine beauty to nature that any man made structure cannot ever match. Hagimit Falls is one such place, where you silently thank God for having witnessed such pristine beauty! Yahooooo! Davao! Kelan kaya uli ako makakapunta uli dyan? 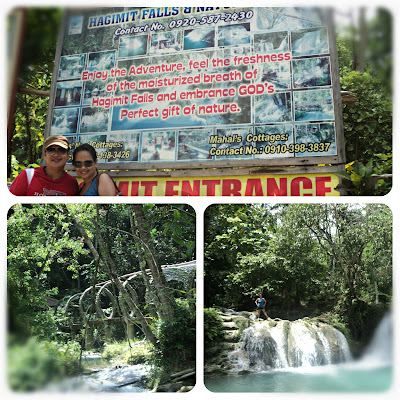 Di ko pa napuntahan ang Hagimit Falls. Buti ka pa hehe.